I am obese, for the moment anyway. I have been fighting obesity for the last 10 years and I know that I am not alone. According to statistics, one in four adult Canadians are obese. Since 2003, the proportion of obese Canadians has increased 17.5 per cent. Obesity is one of the most widespread health problems, not just in Canada, but in other parts of the world. 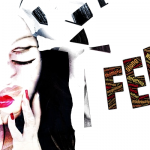 Obesity is triggered by a variety of reasons, including stress, absence of physical activities, busy lifestyle, over-eating and drinking habits, and the availability of junk food. 2 months ago I found out that my triglycerides were extremely high. One of the most common cause of increased triglycerides levels is obesity. Having a high level of triglycerides, a type of fat (lipid) in my blood, could increase my risk of heart disease. It was time to make some lifestyle changes. 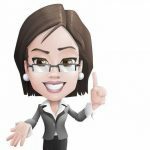 Thankfully for me, there was a simple treatment for having a high triglyceride level. 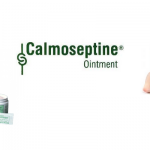 The solution was not found in a pill form and was not a magical remedy. The treatment meant a complete lifestyle change that started with my diet. My first step was to get rid of all the junk. On April 29th, 2016, I tossed chips, pop—everything tempting. I no longer eat processed foods and fast food. I use extra-virgin olive oil as a main cooking oil and I don’t use butter or margarine. I use low-fat Greek yogurt in place of mayo in recipes. Watching my portions, and filling half my plate with fruit and vegetables at every meal helped me erase 30 pounds in a month. At the start of my lifestyle change I came upon Mann’s Veggie Power Blend at my local grocery store. Power Blend contains multiple super-food ingredients — including kale, kohlrabi, Brussels sprouts, Napa cabbage, carrots and broccoli. The mix is shredded and packed into one convenient bag. 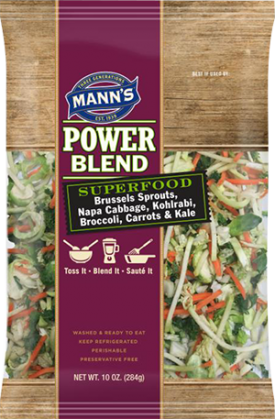 The vegetables in Mann’s Power Blend are washed and ready to use and versatile enough for multiple uses. Many of the vegetables found in Mann’s Veggie Power Blend- such as kale, broccoli, cabbage, cauliflower, and Brussels sprouts are a real blessing for our health, as they contain antioxidants, especially ones associated with anti-cancer effects, vitamins, minerals and fiber. All of them have detox properties, providing fresh nutrients to sustain the liver activity and fiber to help our system flush out the toxins from our cells. Mann’s Veggie Power Blend- has helped cut more calories out of my diet than any other. It’s just so easy to add, with no washing, no chopping, and no fuss. It is such a convenient way I’ve found to add a large volume of low calorie, healthy vegetables to almost anything I’m making. The first time I used power blend, I made it into a slaw with a light Italian dressing. Since then I have used power blend in salads, omelets, pitas, wraps, stir-fry and sandwiches. Mann Packing Company, Salinas, California, is one of America’s leading fresh vegetable suppliers. Family owned and operate, the company has been in operation for over 70 years. 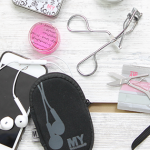 Meann’s Packaging’s goal is to make eating fresh and nutritious vegetables a tasty and easy experience, especially for time-starved meal preparers and busy parents like myself. More than ¼ of Canadians don’t believe they have enough time to prepare fresh produce to eat. which prevents them from consuming more. People often complain that vegetables are not easy to prepare, but Mann’s products provide loads of convenience. Mann’s fresh-cut products are washed and ready to use. Most are packaged in microwaveable bags to steam for convenience. 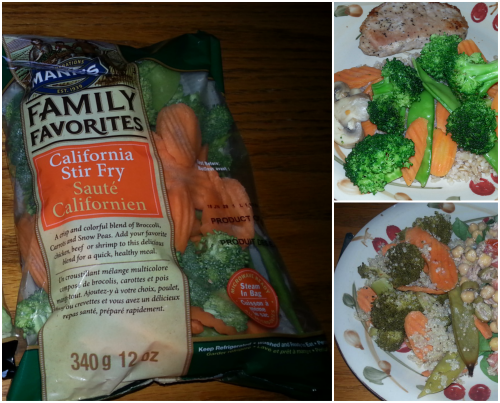 With Mann Packing Company, I soon realized just how easy it was to incorporate fruits and veggies into every meal. 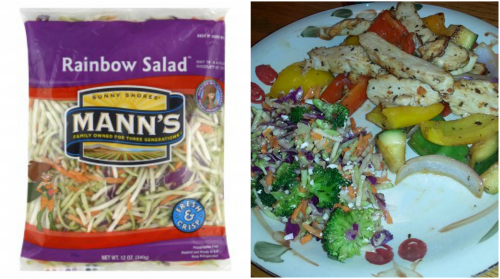 Why not grab a bag of Mann’s broccoli slaw the next time you are at the grocery store. Made up of veggies that stay firm and crunchy all week, like broccoli stems and florets, cabbage, and carrots, it’s an instant salad base that’s extra satisfying. Broccoli slaw is great as a side dish or added to salads, wraps. pitas or stir fry. Are you looking for a way to eat cauliflower and make it interesting? Parmesan roasted cauliflower featuring “Mann’s Culinary Cuts Cauliflower Cauliettes” has quickly become a side-dish favorite for my husband and I; even our three year old likes it. Place half cup of virgin olive oil in a bowl with “Manns Culinary Cuts Cauliflower Cauliettes.” Add a pitch of dill and garlic and toss until thoroughly coated. 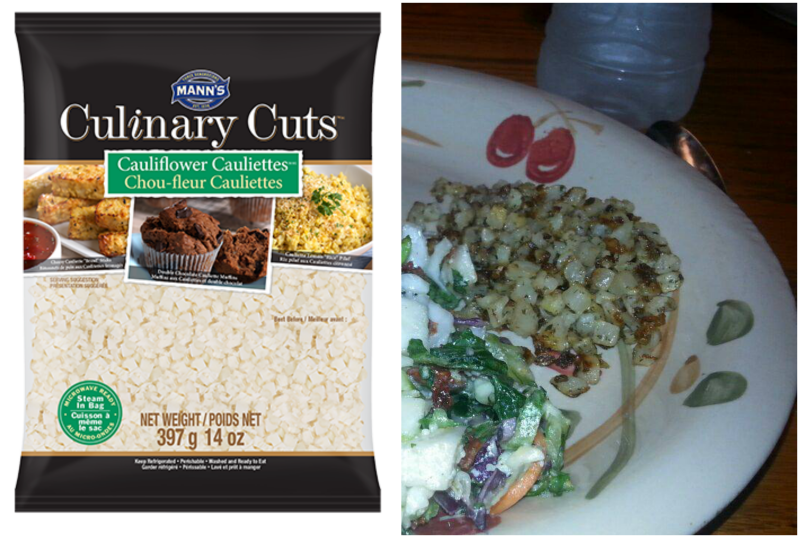 Spread the “Manns Culinary Cuts Cauliflower Cauliettes” evenly on a baking sheet lined with aluminum foil. Top with Parmesan cheese, and bake for 45 min on 350. Not only are Brussels sprouts a good source of protein, iron and potassium, but they also offer other benefits that can boost your overall health. Brussels sprouts gives plenty of antioxidants, helps to fight cancer and heart disease, restores healthy digestion, and much more. Brussels sprouts will fill you up, which is always a plus for weight loss. Brussels sprouts are a delicious versatile vegetable perfect for salad or as a slaw. Directions: Place Mann’s Shaved Brussel Sprouts in bowl. Add chopped almonds, diced apple and dried cranberries. Add dressing to salad mixture and toss all ingredients. Sprinkle cheese on top and serve. Brussel sprouts slaw is a light, scrumptious spin on traditional coleslaw. We make Brussel sprout slaw often in our house. My husband isn’t a fan of cranberries. He substitutes his cranberries for cherry tomatoes or diced whole tomatoes. Mann’s Rainbow Salad contains all the fiber and none of the prep work. Mix the colorful blend of pre-cut cauliflower hearts, broccoli, red cabbage, and carrots with some dressing for a no-hassle slaw. We dress the slaw up at times adding zuccini or cucumbers, peppers, graded spinach leaves and cherry tomatoes. My son introduced me to Quinoa two years ago. 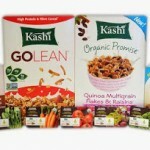 Pronounced “keen-wah,” this protein-packed grain is a good source of iron, magnesium, vitamin E, potassium, and fiber. Quinoa leaves you feeling full, which is why quinoa is becoming a weight loss food. Quinoa is a fabulous base for easy, quick, filling grain salads. I recently made Veg Medley Quinoa Bake, from Mann’s Recipes. We substituted the “Mann’s Vegetable Medley” for “Mann’s CA stir fry.” Mann’s CA stir fry includes Broccoli, Carrots, and Snow Peas. We ate it chilled as opposed to eating it warm. I found baking quinoa with the vegetables gave the quinoa a very good vegetable flavor. We had the Veg Medley Quinoa Bake as left over the 2nd night and I change the recipes up a bit by adding apples, turkey, sesame seeds and serving it over a bed of spinach and kale. 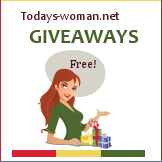 2 cups Water or low sodium vegetable broth. Preheat oven to 400°. Combine all ingredients in large casserole dish. Cover and bake for 45 minutes, until vegetables are tender. If not, add more water or broth and cook another 10 minutes. Remove lid for last 10 minutes to brown tops of vegetables. Serve immediately. 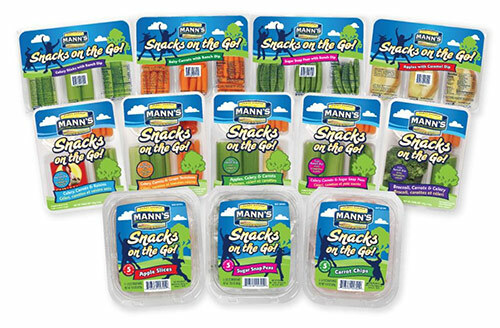 Mann’s products are also great for snacking, lunches and summer road trips. Packed in a convenient mini tray containing a variety of fresh cut, washed vegetables and a creamy delicious ranch dip, Snack on the Go trays come in different combinations of Celery, Carrots, Stringless Sugar Snap Peas, Broccoli, Grape Tomatoes and Raisins. The vegetables are flavorful and crisp with no chemical aftertaste. Mann’s Vegetable products contain no genetically modified ingredients. 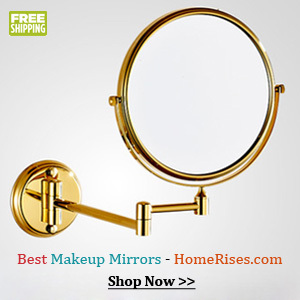 Are you looking for a quick before dinner snack? Sugar snap peas and hummus will please both the kids and the parents! I can tell you from personal experience that this diet is effective. 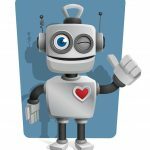 My husband has lost 45 lbs in 2 months and 2 weeks and I have lost 43 lbs. I have now added in 3 1/2 km -twice-weekly walk to my life style change. I still have a long way to go to reach my ideal weight, nonetheless it is a start. Mann’s pre-cut and washed vegetables are a staple in my diet. 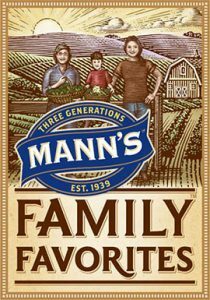 Mann’s is a leading provider of innovative, pre-washed and ready to use fresh veggies. They are one of the largest suppliers of fresh Broccoli and Sugar Snap Peas in North America and carry the distinguished Women’s Business Enterprise National Council certification. They are an industry leading, third-generation supplier of premium fresh vegetables including commodity products and fresh veggie mixes, dishes, and salads. Staying on the cutting edge of package and product innovation has made Mann’s a regarded consumer brand; being vigilant on food safety practices and compliancy regulations has made them a trusted brand among retailers and consumers alike. Be sure to check out their recipe section. Half Your Plate is dedicated to empowering Canadians to eat a wider variety and quantity of fruits and veggies. Mann Packing features Half Your Plate initiative’s logo on Mann’s Sugar Snap Peas. 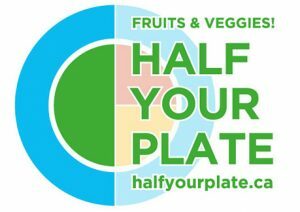 halfyourplate.ca features healthy eating tips, tricks to include more fruits and veggies with every meal, recipes and nutritional facts on fruits and vegetables. You can also find them on Twitter (@halfyourplate), facebook (halfyourplate), and Pinterest (Half Your Plate). Finally, slimming down isn’t easy. It takes time and commitment to reach your weight-loss goals, but it’s not impossible. Do you have any weight loss tips? Have you tried Mann’s Fresh Vegetables? Wow these sound delicious, and I’d love to try them. I’m on such a tight budget all I’ve been buying is flour and milk, living on biscuits. I have never heard of them before but definitely will check them out. I love those veggies trays. how clever! Can’t wait to try out these healthy food choices! 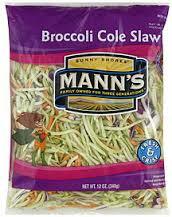 I love the Mann’s cole slaw mix! I have it all the time! 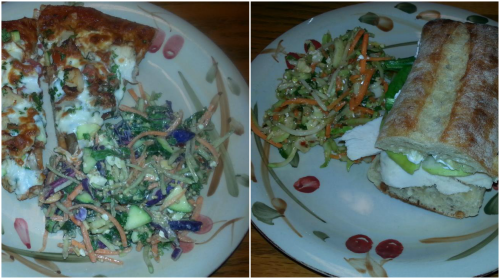 Thanks for sharing your Veg Medley Quinoa Bake recipe. I cant wait to try it ! I’m not trying to lose weight but dang this makes me mouth water!